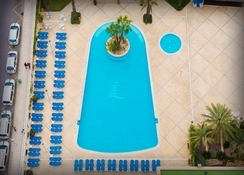 Hotel Levante Club & Spa is an upmarket, sophisticated Benidorm hotel situated just 900 metres away from the Levante beach. 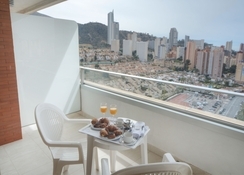 Benidorm is one of the most famous tourist spots in the famed Costa Blanca region of Spain and is visited by hundreds of tourists every year. Hotel Levante Cub & Spa provides them with an environment of luxury and elegance. The Luxor Spa & Fitness Centre is one of Benidorm’s first-rate health and beauty centres, offering a range of relaxation and beauty treatments. Good for both business and leisure, this hotel features 166 Club rooms, 18 Club premium rooms and 2 suites. The rooms, all of which are splendidly decorated, come with complimentary wine and chocolates. The hotel lets you enjoy the true spirit of the place, which is full of exhilarating water sports, stunning beaches and great bars and clubs. The services and the amenities of the hotel are of high-quality and perfect for both holding a business meeting or giving the special someone in your life the vacation of a lifetime. 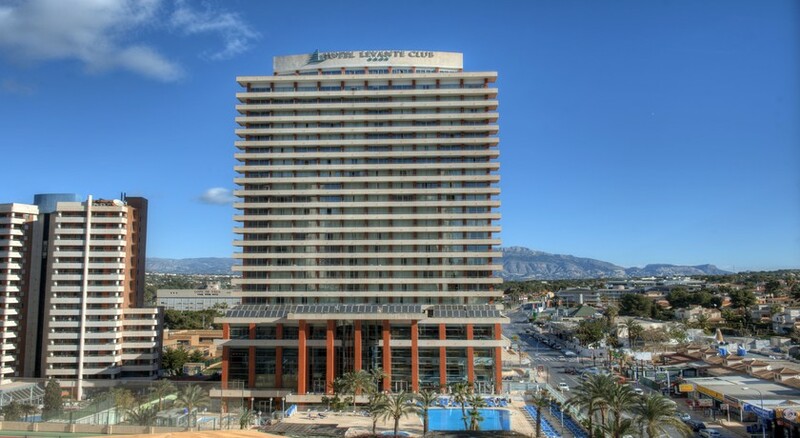 The hotel is located near the famous Valencia beach, Levante. Playa Levante the most happening beach is just a couple of metres away. Further, the airport is also not too far. Alicante airport is the nearest airport in the region, situated at a distance of 48 km from the hotel. Benidorm is not also far away from other famous regions of Spain such as the port city of Valencia and the beach resort of Barcelona. Both make for an excellent day trip or excursion. The rooms of the hotel come in various sizes and a wide variety of facilities. The spacious Club rooms come with en-suite baths and terraces with stunning views of the hotel’s pool. Guests in large groups can also try out the Premium rooms with larger terraces, bathrooms and complimentary goodies such as fine wine and delectable chocolates. The suites have a Jacuzzi on the terrace, so that guests can have the best view of the hotel complex and the nearby beach. The hotel has a number of great eating and drinking options. The main dining area of the hotel serves lavish spreads of Mediterranean delights made with the freshest ingredients, while the pool and night bars offer delicious cocktails. The choice for sports and entertainment is staggering. 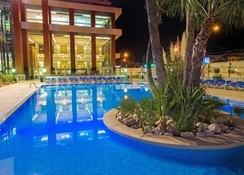 The Luxor Spa & Fitness Centre is one of the popular health and beauty centres in Benidorm. 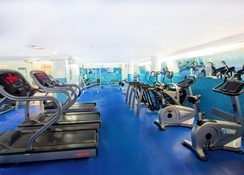 It has a fully equipped gym area and provides a range of exclusive beauty treatments and wellness packages for its guests. Levante Club Golf is another great venue for both amateur and professional golfers. The 420-seater salon is the perfect place for either holding a business meeting or getting married. Finally, the nearby beach provides the perfect opportunity for friends and families to hang out, relax and enjoy the summer sun.